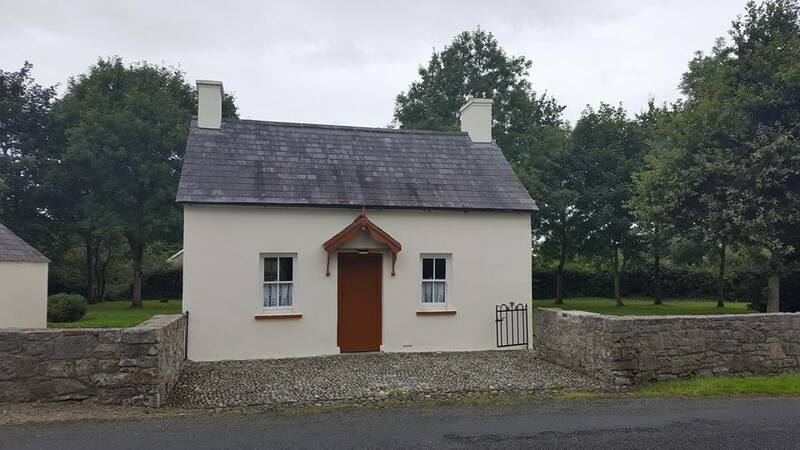 In the 1980s the OPW restored the humble cottage on the outskirts of the village of Bruree in County Limerick. This cottage was the home of Éamon de Valera the future President of Ireland who held that office from 1959 until 1973. Éamon de Valera was born Edward de Valera in New York, America on the 14 October 1882 to Juan Vivion de Valera and Catherine Coll (a native of Bruree). Following the death of his father three years later his mother sent Éamon back to Ireland to live in this house with his grandmother Elizabeth Coll, uncle Patrick Coll and aunt Hannie Coll. The school was founded in 1862. On October 8th, 1972, President Eamon de Valera opened a museum in his honour. 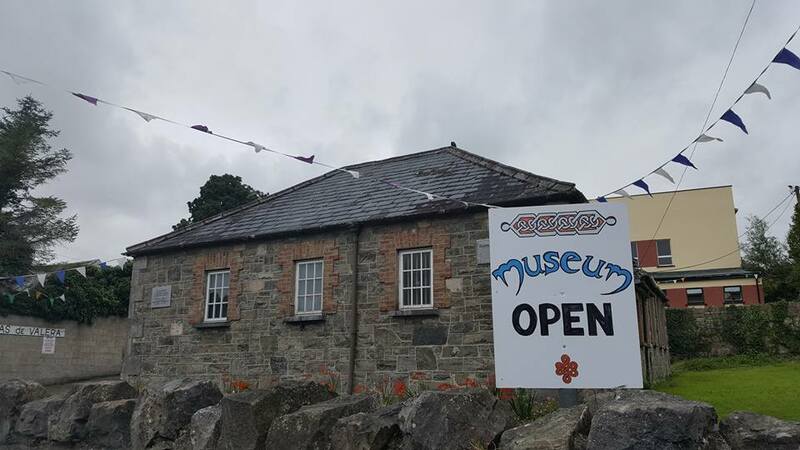 25 years later in 1997, the then President of Ireland, Mary Robinson, officially opened the refurbished De Valera Museum and Bruree Heritage Centre.. The museum not only holds detail of the life of Éamon De Valera but of the surrounding Bruree area. You can find this museum on Twitter and Facebook. 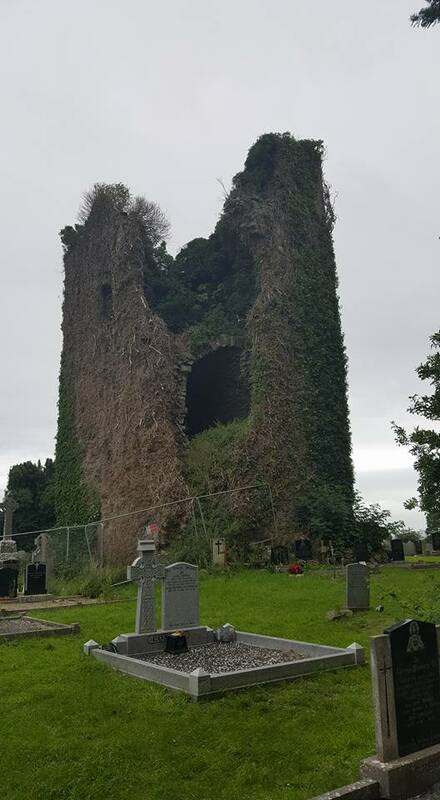 This tower house belonged to the De Lacey family who arrived in Ireland during the Norman period but when the tower house was built in the 15th century they were fully integrated into Irish society. The tower house was seized during the Cromwellian confiscations of the 1650s and fell into disrepair. 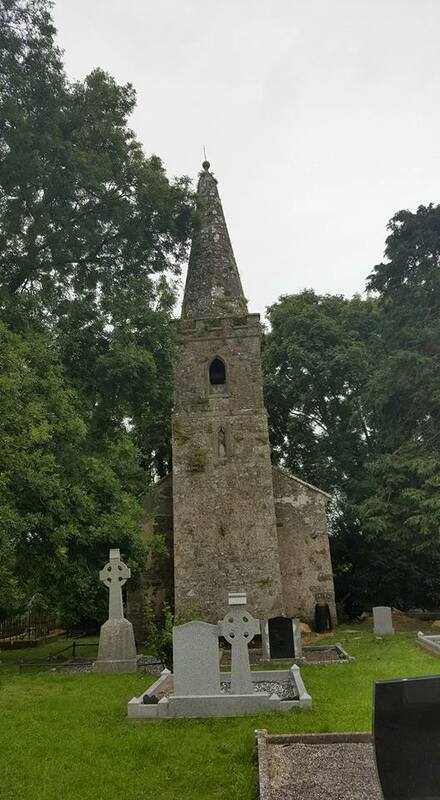 The Ballynoe Church of Ireland church was later erected in the grounds. This church was built in 1812 as part of the Bord of First Fruits which was established in 1711 to contribute to the building and improvement of Church of Ireland churches in Ireland. This church cost £800 to construct it is situated on the site of an older church. 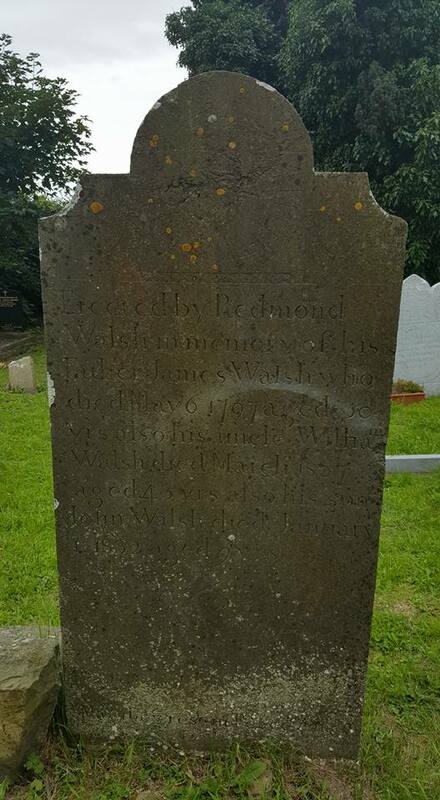 Many of the headstones in the surrounding graveyard pre-date the church, including this which is dedicated to the memory of James Walsh who died in 1797. PreviousThe Grand Prix Races of the 1930s in Limerick.